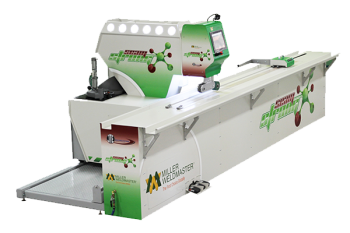 No matter the size of your awning shop, Miller Weldmaster has a fabric welding machine that will weld and seal your awnings. Our awning welders are suited for acrylic and PVC awning and can increase productivity and efficiency in any operation. 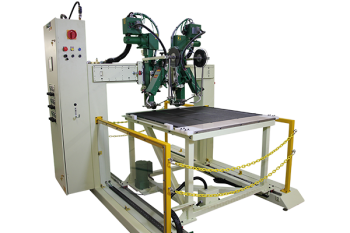 Explore our awning welding and seam sealer machines below. 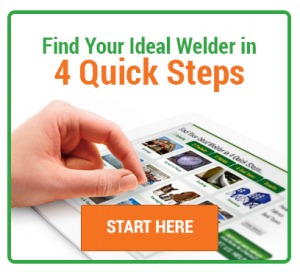 Miller Weldmaster machines serve a lot of purposes in a lot of manufacturing operations. 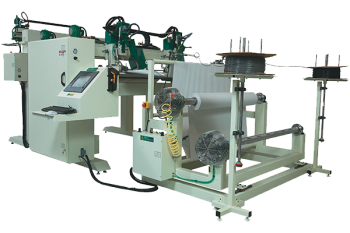 If you’re not sure what type of machine you’re looking for, contact us and we’ll point you in the right direction for your fabric sealing machine needs. Why use a Miller Weldmaster Awning Welder? Miller Weldmaster is a leading creator of plastic welding solutions across a broad spectrum of manufacturing industries. Our machines are backed with a long history of industry knowledge, as well as a commitment to continued research and improvement on our operation. 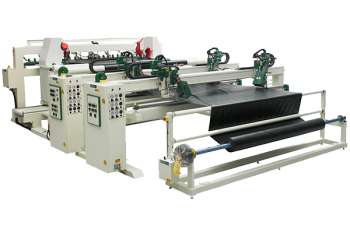 We’ve had particular success in the awning industry when it comes to helping industries upgrade their awning seam sealer equipment and move into the automated age. For example, we partnered with Berges Trenton Awning to create an awning-seaming solution that was more modern than their previous method – using sewing machines from the early 1900s. Read more about this successful awning seam sealer partnership. Efficiency you care about. Performance you crave. The 112 Extreme high-performance welder is our fastest and most precise welder for long straight seams. 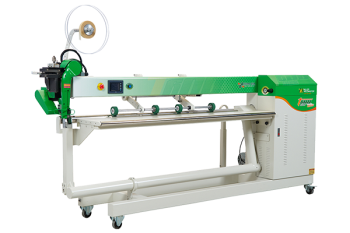 With speeds up to 20M / minute, this machine is able to handle fabric seals quickly and efficiently, ultimately saving you time and money. The 112 Extreme is built to take your production and efficiency to the next level. 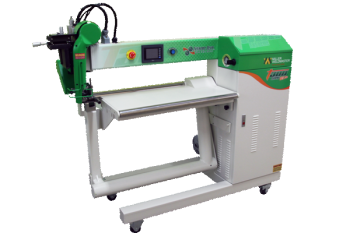 This small, portable awning welder machine comes fully assembled and ready to weld awnings, blinds and shades either stationary or traveling on table top track. Miller Weldmaster’s T300 Extreme Shade is a simple operating welder for PVC or acrylic shades, awnings and structures. Using hot wedge technology, this welder’s straightforward design and controls mean consistent and easy product construction. 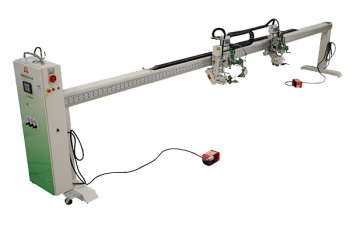 Effortless operating welder for welding PVC or acrylic shades, awnings and structures with additional fabric handling support. Its heavy duty construction allows for the toughest jobs. 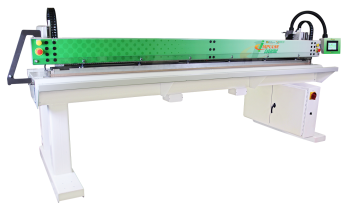 This easy to use, single operator Impulse Extreme was designed to create the best looking, strong straight seams and folds. It is manufactured with a rack and pinion drive system for precise, level, electric motor driven weld beam. 3.5M and 6M sizes available! Custom formulated, advanced adhesive technology allows the SeamSTRONG to produce the strongest seams in the industry. The SeamSTRONG provides a long-lasting, aesthetically pleasing and flexible seam for the production of awnings, digital textiles, advanced technical textiles and military applications. 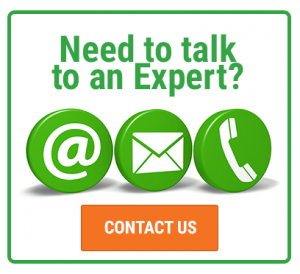 Need more information about our awning welding and seaming solutions? 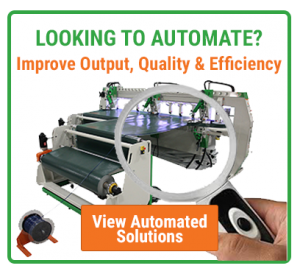 Contact us today and find out how Miller Weldmaster’s machines can automate your operation and amplify your awning production’s efficiency. Designed to unwind both material and keder while simultaneously welding both outside edges. With a tension controlled accumulator production is continuous with a accurate product cut to length and great for any awning production that requires keder for insertion in track such as camper or RV awnings and retractable awnings. Designed to unwind material, weld hems and apply grommets simultaneously. With a tension controlled accumulator production is continuous with a accurate product cut to length and great for any awning production that requires keder for insertion in track such as camper or RV awnings and retractable awnings. 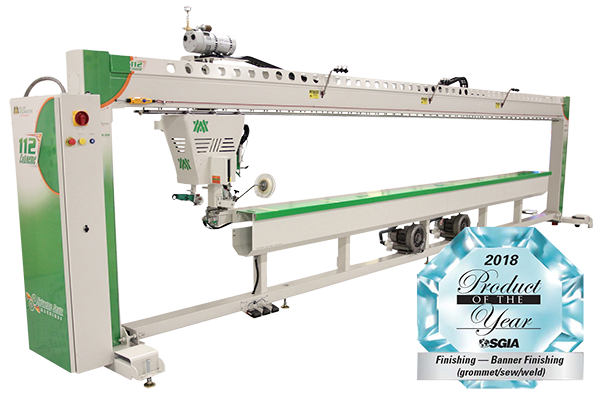 The DH7600 is designed to finish the outside edges of almost any size product simultaneously. 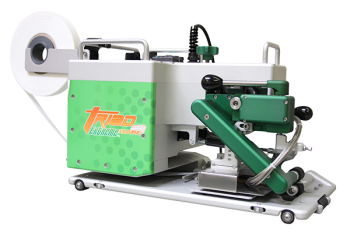 This welder is the most economical solution to meet your finishing needs and can easily be customized to match your customers’ demands.